Lubricants serve multiple purposes in drilling and well applications. First, lubricants cool and move heat away from the drill bit at the bottom of the hole. and the entire pipe string. Secondly, they reduce associated torque and drag on the pipe. Without lubricants, drilling operations would fail early and often because of heat and stress on the bit, mud motor and hydraulic pumps. Force Fluids' lubricants offer superior coefficient of friction ratings compared to competing products. ScaleForce HD is a high performance deposit control agent for oilfield applications. ForceFree is a special high temperature, high-pressure drilling lubricant that is designed off patented technology to reduce torque and drag in water and oil based drilling mud systems. Specialty lubricants for cement drill out and tough drilling conditions – now becoming a standard in cement drill outs and known in Eagle Ford as “The Cement Buster”. Outstanding biopolymeric lubricant with glass or plastic beads used for helical bending and prevention of buckling. Enhances all coiled tubing wellbore drilling applications. Reduce Hydrogen Sulfide exposure with ForceScav Triazine H2S scavenger. Force Fluids offers a water-soluble and oil-soluble hydrogen sulfide scavenger that can be applied via continuous injection or through batch treatments. This product, on average, is three times more concentrated than the average competing treatment product solutions. 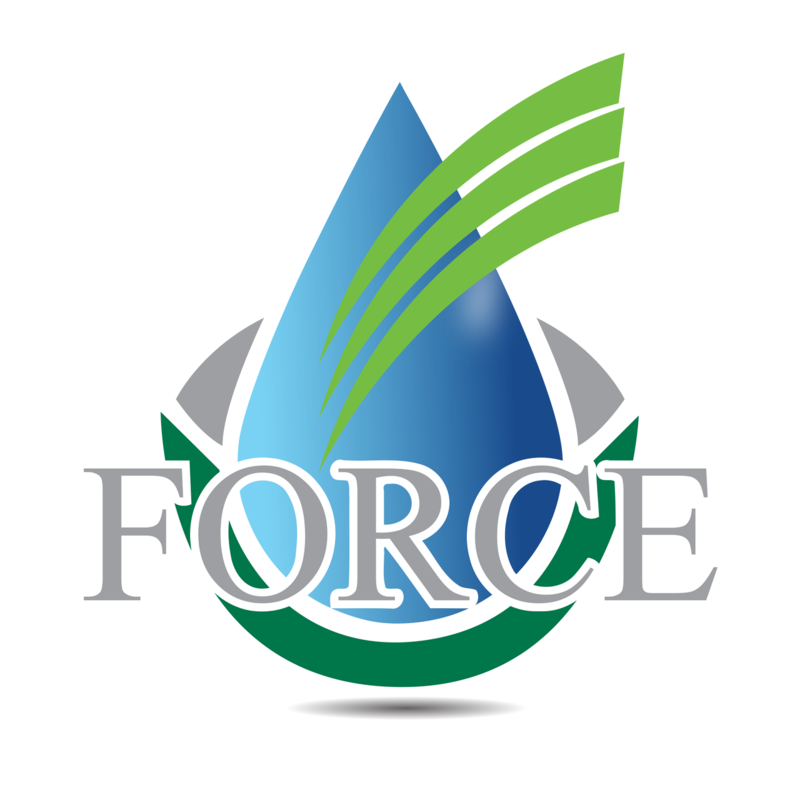 Force Fluids' ForceSurf is a biodegradable, non-regulated, chemical solution for prevention and remediation of scale deposits in oilfield applications. Please read accompanying (SDS) linked below for formulation information and details. The XLR-8 ForceSurf is usable in all situations where a surfactant is needed. XLR-8 relieves SWD well pressure both in the tubing and downhole. Functions as a great surfactant with great dispersion properties. ForceSurf 2500 is an Engineered Bio based technology for enhanced load recovery in fractionally wetted low permeability reservoirs. ForceSurf 2500 performs in complex and mature oil fields, and has shown superior performance for heavy oils. The bonded bio based solution exhibits rapid forming wetting properties, exceptional reduction of surface tension and interfacial tension, and non-alkane dispersion properties over a broad range of API gravity petroleum. ForceSurf 2900 is an Engineered Bio based technology for lowering surface tension in fractionally wetted low permeability reservoirs. The product is a highly active, high performing non-ionic surfactant with excellent non-emulsifying properties. ForceSurf 2900 can be used as a wetting agent in both primary and secondary stimulation fluids and full reservoir clean up. ForceSurf 2900 is compatible in slick water, gel and acid based fluid systems. ForceSurf 2900 has a typical treatment range from 0.5 gpt to 2.0 gpt. ForceSurf 5900 is an Engineered Bio base technology for lowering surface tension in fractionally wetted low permeability reservoirs. The product is a high-performing non-ionic surfactant with excellent non-emulsifying properties. ForceSurf 5900 can be used as a wetting agent in both primary and secondary stimulation fluids and full reservoir clean-up. Suitable in both water and diesel base fluids. Viscosifiers serve to suspend and sweep away cuttings, as well as shavings from the bottom of the hole, while drilling. Proper mud viscosity prevents shavings from settling at the bottom, which hinders drilling operations. Please note that we also carry specialty additives such as cleaning chemicals, completion fluids and production chemicals which compliment our lubricants and viscosifiers. Our chemicals well help preserve equipment life and avoid damage. Assist with clay stabilization to prevent formation damage caused by swelling of the clay. Packer fluids that maintain well packers. Remediate h2s build up in drilling, completion and production wells. 2-1 solutions that prevent scale build up and corrosion from taking hold (inhibitors) in both land and sea. Emulsion breakers that separate oil and water, improving porosity in saltwater and freshwater brines. Carboxylic Acid-based pH and Potassium-based pH Adjustment Compounds for Drilling & Wastewater Use. Cleaners that utilize foaming and nonfoaming surfactants with corrosion inhibition properties. We research and employ techniques such as specialty turbine agitators relating to the creation of polymeric gel development & yield for water re-usage as well as flocculation and in drilling and workover applications. Steam & high temperature water traced systems for use primarily in the multiple shale plays across the United States where water reuse areas require heating the fluid with chemicals for the break. Contact us today to order and let your drilling and oil company mud engineers find out for themselves on your rigs & wells. Our customers realize significant cost savings when using our mud additives in their system versus competing brands. Your engineer may use our products to replace your current line of additives. Your mud will last longer and endure higher temperature plus higher pressures all leading to a more productive experience while adding to your bottom line. External resources: Read more about gas and synthetic drilling fluids at Wikipedia. How do Drilling Fluids work? Article on Rigzone.